I originally became interested in Detention from an article I read on Gamasutra about the game’s localization. 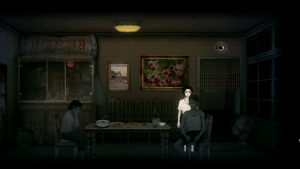 In that article I saw ghosts and monsters, a neat art style, and a chance to learn about the spooks and spirits of Taiwan. I thought it was going to be a game about escaping a haunted school. What I got was a heartbreaking story about the terrifying reality the Taiwanese people had to live through during martial law. Before I really get started, I want to suggest that anyone reading this go into the game knowing as little as possible. It’s $12 on Steam, the store page is here. If you like point-and-clicks, good stories, some jump scares (yeah, yeah), and neat game mechanics, Detention is definitely worth your time. 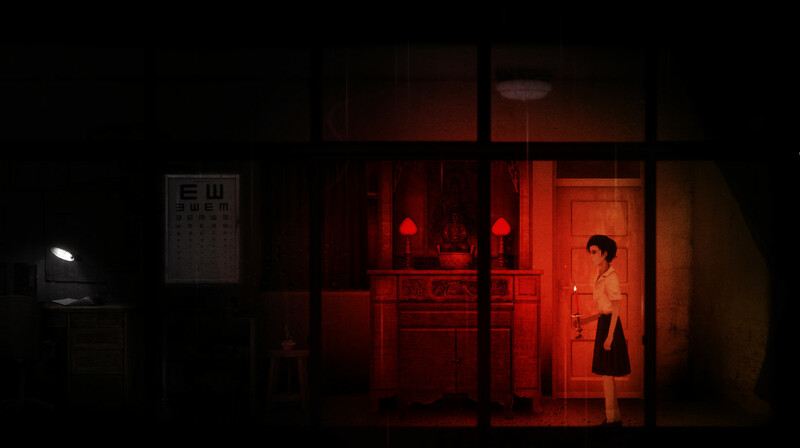 The game takes place in a school in rural Taiwan in the 1960s. Wei, your character, falls asleep in class and wakes up to find the entire school empty. There’s a typhoon warning on the chalkboard, so he tries to get home before the storm hits. On his way out of the school, he meets a girl named Ray. Something happens, and you take control of Ray for the rest of the game. Having grown up on point-and-clicks (mostly edutainment games my mom bought for my brother and me), the gameplay was a return to a familiar style that I’ve missed. Detention has all the necessary elements required of point-and-clicks — checking every part of every room, using items to solve puzzles, and wandering around aimlessly until the solution to a difficult puzzle smacks you in the face. And since this is a horror game, it also has an atmosphere that puts you on high alert. Most of the “horror” comes from the art style, sound effects, and music. There are jump scares, sure, but I never felt like they were cheap. They’re the kinds of things I’d expect to see in my nightmares — realistic, disturbing stuff. You encounter some extremely spooky ghosts, but the game gives you guidance in the form of notes you can find around the school, which automatically get added to your notebook. Some of the notes teach you about the ghosts you’re about to encounter, ways to avoid them, and ways to sneak past them. 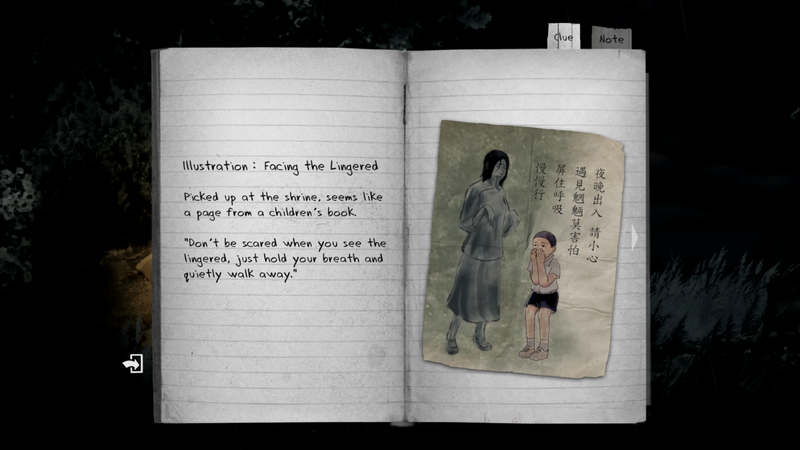 Other notes are about Taoist rituals, the knowledge of which is required to solve some of the puzzles. Some notes are clues as to what’s going on in the story, like newspaper clippings, flyers, and old photographs. Due to the nature of point-and-clicks, I got stuck twice, with absolutely no idea what to do to progress. Both times it was because I didn’t check a room completely, so I was missing an important item. Always check every room everywhere! Detention is broken up into four chapters, each chapter taking about an hour or less to complete. 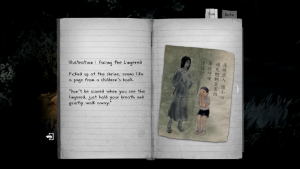 Around Chapter 3 was when I realized this game wasn’t just about escaping a haunted school. Discovering the little details of Ray’s past had me invested in the story so much more than when I was running from ghosts. And after learning the horrible truth…… I was devastated. 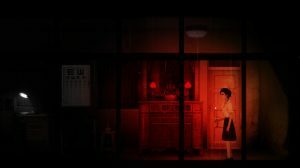 The devs at Red Candle Games made Detention because they couldn’t find any games that they felt represented their culture. I’m excited to see what they come up with next!